For our 32nd birthday's, both the same week in May, John and I decided to do a long weekender bikepacking trip. We followed The Swallow's Central Oregon Backcountry Explorer Route. Though they rode it in the autumn, we figured the weather was decent enough to try it out in the spring, despite the heavy winter snowfall and wet, cloud cover the high desert has had this spring. We loaded our gear, packed four days of food, and headed from Bend to Prineville with our bikes. At the Prineville Good Bike, Co. we started our journey. "You may hit snow at 5700 feet in the Ochocos, but it should be ok." We were told. Rolling pavement out of Prineville--onto gravel roads through The Ochoco Mountains. Clouds and a chill are in the air. Spring can bring all weather. Livestock--lambs of may. calves. sheep of many colors. Roll roll roll up and down, winding roads. It is so green after our snowy winter. Climb climb climb. Ponderosa and fir forests turn into grassland, sage, and Juniper. SMELLOVISION. Geology and land histories come alive. The days were challenging as the weather changed. We experienced the everything of spring: clouds, rain, sun, rainbows, wind, heat, snow, hail, and thunderstorms. Stream crossings with water three feet higher than normal. Jackets came on, clouds passed, jackets came off, clouds moved and rain fell from the sky, jackets came on again. May--very little rhythm in the mountains. Off the bike again to cross another river. The wetlands spread wide a symphony of life. Swallows swooped for insects. On my birthday, as the clouds shifted ahead, around, in between us, we left the John Day River and headed towards the Painted Hills, Mitchell, and the Ochocos once again. As we climbed out of Mitchell into the Ochocos, it started snowing, hailing, raining, and snowing again. Wildflowers and snowflakes surrounded us for my birthday dinner. And more snow. Until we got to the pass where there was six feet of snow on the ground waiting for us to hike over. We trudged through snow, pushing our heavy bikes 3 hours and almost 7 miles from 5700 feet elevation to the summit at 6400 feet elevation, and back down to 5700' on the other side. Quad tracks lead us up and over. We could ride some of the hard-packed parts, at least when gravity was in our favor. Filtering water from frozen streams. Made it back from the mountains to ride another day. The everything of spring in the mountains is astonishing. The Minnesota kids just couldn't comprehend springtime in the NW mountains until they experienced it. Illustration featured in the print copy of the newspaper. Slowing, I squinted past the posted sign at the trail intersection, at Kent’s Trailhead, just outside of Bend. I followed the line drawn in dirt with my finger, out past my foreground. My gaze blurred, and the recently bloomed sage, dusty earth and juniper bark into one subtle palette—one step beyond pastel towards the shades and values of dust. I closed my eyes, inhaled: spicy warm, mordant, piquant, and bracing. Opening my eyes again, I refocused on the yellowing grasses the same color as the dying sage blooms, fading into the overcast sky. It’s raining and snowing in the mountains, I thought and remounted my bicycle. I kicked up dust from the trail with my toe, and its fine powder concealed the skin on my legs and the leather on my shoes. It began to sprinkle, yes, its definitely raining and snowing in the mountains, too. It is the end of summer’s dryness, late September, and the temperatures have begun cooling. I rolled ahead, and dust puffed up; I coughed the dry air coating my lungs, and pedaled down the trail winding through the rocks and sage. Two weeks earlier, it had been the perfect climate to bikepack overnights or shorter 2-4 day sections right from my front door in Bend. But late September, the weather can turn, drizzle turning into rain, the cloud cover can mean snow in the mountains, and make overnight camping in the Cascades more difficult. The autumn is a perfect season for mountain biking, usually dry, sunny and warm days, and cool to cold nights. Water sources are usually scarce, however, especially before one starts climbing into the mountains. In autumn, one can expect to go 20 or 30 miles on single track, in the routes leaving from Bend, without water, and fill up at every stream available. Summer, water is more abundant in Central Oregon, the snow melts in spider webs of streams, cascading downward towards the open plains of the high desert, east. Rolling grassy plains and open sky define the country east of the Cascades. Tapped into the earth are touchstones of gnarled juniper trees, sage, and bunchgrass. We are surrounded by history that unfolds each mile we ride, a history that is wrapped up in our own history, the history of the miners, the settlers, and the ranchers. It feels very familiar, somehow. Fences mark borders between wild grasses, and the sky and land seems to blur into one as clouds cover the mountains to our west in the afternoons. Bend-Phil's Trailhead: Ben's Trail, Fire Road 310, Skyliner's Trail to Tumalo Creek Trail, which is along Tumalo Creek, and past Tumalo Falls, North Fork Trail to Happy Valley, Metolious/Windego Trail (roughly 30 miles) From there, you are near the lakes, and can choose your own adventure. Note that in the Fall, water is scarce until you get to the lakes. Camp out off the trail, somewhere, there are plenty of flat, hidden areas in the trees. The next day you can go home from two directions. 1. Back track slightly to the Dutchman Sno-Park and take Flagline to Swede Ridge to Upper Whoops and back towards Phil's Trailhead or 2. Head back to Happy Valley, take the 1.1 mile connector north from the North Fork of Tumalo Creek, where you'll find an intersection with Fire Road 370 (which heads North to Three Creek Lake, and is an incredible camping spot for a second night!) and look right to the Mrazek Trail that swoops and flows through higher elevation pine forests and winds its way to rockier, dry, dusty juniper forests on a 14 mile descent back to Bend. Mrazek to Three Creek Lake Overnight Out-and-Back. Mrazek is fun in both directions, and feels very different each time. The trail is a gradual climb out of Bend until you hit the intersection with Fire Road 370. You can ride FR370 to Three Creek Lake, or you can turn north using the Metolius/Windego trail depending on your brain-fatigue on the single-track. The M/W is more flowy than technical, but it does take concentration. It is also a shared Horse trail, and can be very pitted with horse tracks depending on the time of year. You can't beat the simplicity of this out-and-back route. WHOA Mag Publishes Story & Illustratons! Respect the Elements and Illustrations published in WHOA Mag. In December I received Panorama: Journal of Intelligent Travel's Emerging Writer Fund. An excerpt of my long-form book, Open Range: Mountain Passage, about bikepacking, and how one intentionally moves through her landscape, was published in December. Here's the Link to: Sometimes, The Past Lingers, featured in Panorama's Winter Quarterly -- Treasures. My illustrations has recently been featured in Bikepacking.com, Rider's Lens: Connecting to the Landscape! Thank you Logan Watts and Bikepacking.com for the wonderful support! we meet Jon and Ron. That makes four camping tonight: Jon, Ron, Alex, and John. Telling stories of other bike adventures and share the primitive camp ground with a fire trying to keep out the mosquitos. What are the big questions of the day? Asks Ron, a former biologist who is completing the divide in month-long sections. We ask each other and I talk about art and its relationship to the bike trip. I probably bore them talking about phenomenology and other experiential philosophies of the body. The ride is an embodiment of a body’s experience—a body immersed in the landscape. Becoming the terrain that sustains us. Jon and Ron ate freeze dried meals—not only am I probably allergic to everything in them, I also am finding I REALLY enjoy cooking after a long day on the bike. sharing a home cooked meal with John. 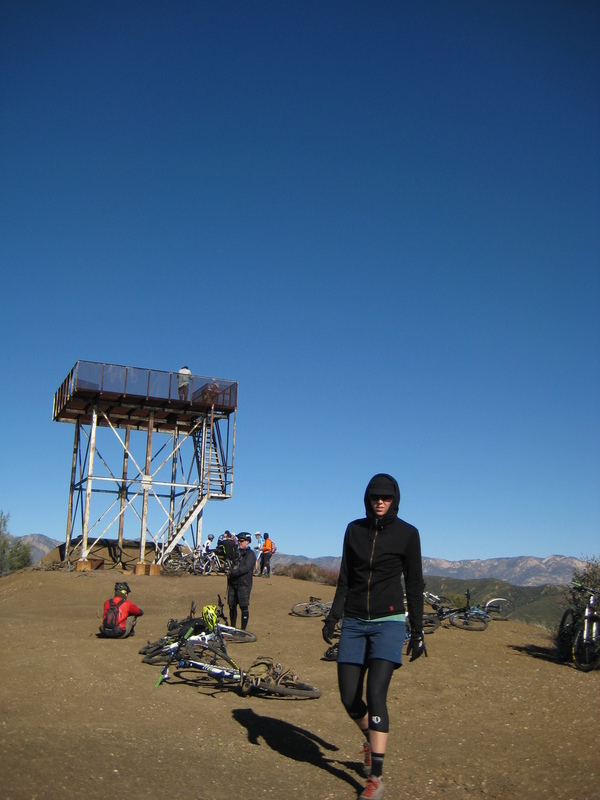 I ponder the mountains and the biking as a contemplative practice. I ponder alternative ways of living that promote the environment, human health, community, and experience. It can come in many forms. For me, I have found this through mountain biking and bike-packing. This section is for current writing, updates, and other news from writer & artist Alex Borgen. It is updated regularly like a blog.